A nine-year-old boy who was critically injured in a drunk driving accident involving his uncle was taken off of life support Sunday evening and pronounced dead, according to a statement released by the family. According to police, nine-year-old Donovan Best and his eight-year-old sister were riding in the car with their uncle – identified as 26-year-old Jayce Randall – early on Saturday morning. The boy was wearing a seat belt in the front seat of the car and his sister had been riding in the back seat and was wearing a seat belt at the time of the fatal DUI accident. 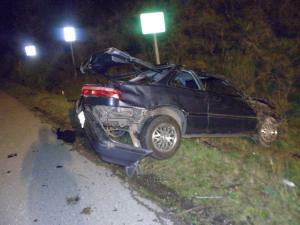 Washington State Patrol (WSP) Trooper Guy Gill says that the uncle was driving on State Route 16 near Gig Harbor at approximately 1:30 a.m. when the vehicle left the roadway and flipped over. Gill said Randall had a blood alcohol content (BAC) of more than twice the legal limit after the accident and also had marijuana in his system. Troopers also found a “large amount” of marijuana in Randall’s car. The boy was taken to Mary Bridge Children’s Hospital in Tacoma, where he was immediately placed on life support. His younger sister was not injured in the accident and was able to get out of the vehicle and flag down help for her family. Donovan was taken off of life support late Sunday night after doctors determined his brain activity had stopped. Randall suffered a broken pelvis in the DUI collision and was taken to the hospital to be treated for his injuries. One news article says that he was placed on “suicide watch” after the accident because he was so distraught about the death of the little boy. “Our nephew who was driving and our little nephew is on life support, so we feel like we’re losing two members of the family because of a bad decision,” said Karrie Lewandowski, a family member. Randall was apparently at his sister’s home for the night after she hosted a barbecue on Friday. He had been drinking and decided to try to drive the children to their grandparents’ house early Saturday morning, according to the family. Trooper Gill says that Randall will likely face criminal charges of vehicular homicide and impaired driving.